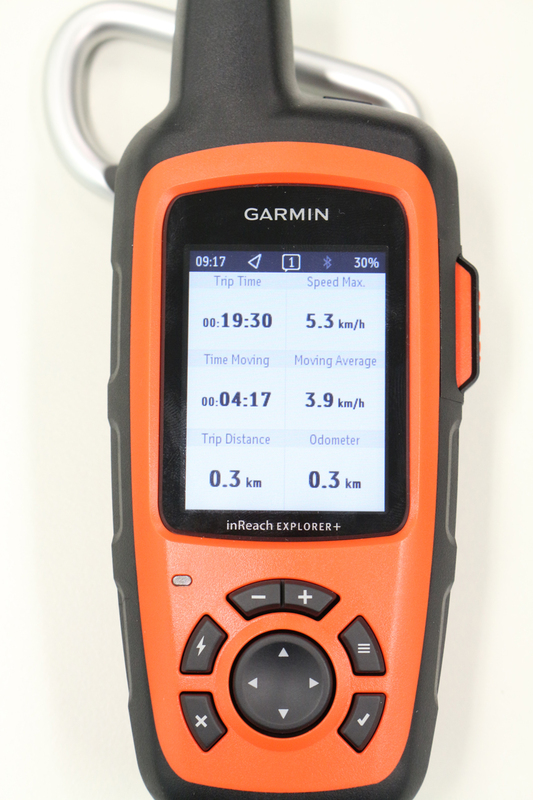 This post focuses on reviewing the performance and applications for the Garmin InReach Explorer+. We have a post here that looks at a full product comparison between all the Inreach units including the previous iterations by DeLorme. 1.13 Can I add multiple InReach Devices to the same account? The carabiner clip is quite handy and easy to snap-on. Garmin consistently uses Micro USB cords across most of their devices which help a lot as I seem to have amassed far more Micro USB cables then actual devices at this point. The design is quite different to the DeLorme (Right) and the Explorer+ (Left) as the Explorer+ is capable of being used as both a Satellite communication device and a handheld GPS with topographical maps data. 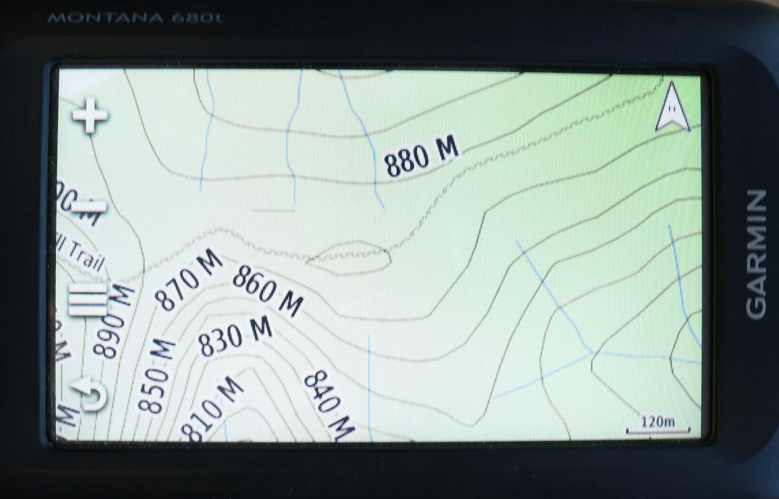 The primary indicator of this design choice is the screen size as shown below the Explorer+ has a considerably larger screen making it easy to see the TOPO maps. In case you don’t read any further, the TOPO maps are DeLorme’s maps and are not as good as the Garmin TOPO maps you’re likely used to. The buttons have changed allowing for faster navigation and selection. The lightning button will put you straight on the shortcut menu. 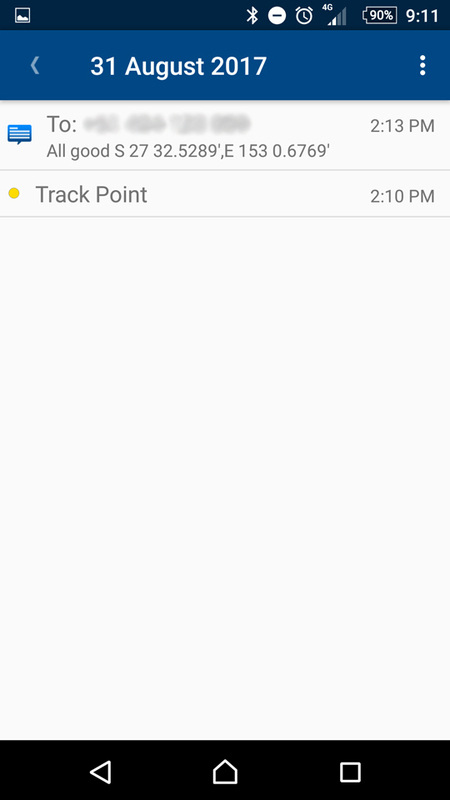 This feature is useful for sending a quick pre-set message, checking any incoming messages or beginning your tracking. 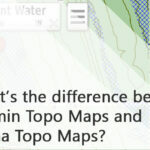 The plus and minus buttons are for your typical zoom feature on the preloaded DeLorme Topo maps. Finally, the three stacked dashes will access the settings options for anything you open on the on the main menu. Pressing this button twice will also bring you back to home screen directly. There is also a LED indicator that will blink green when the device receives a message. It will flash red for two reasons - 1. The unit does not have a clear view of the sky (which will likely hinder connection to the Satellite constellation) 2. The unit is below 10% battery life. 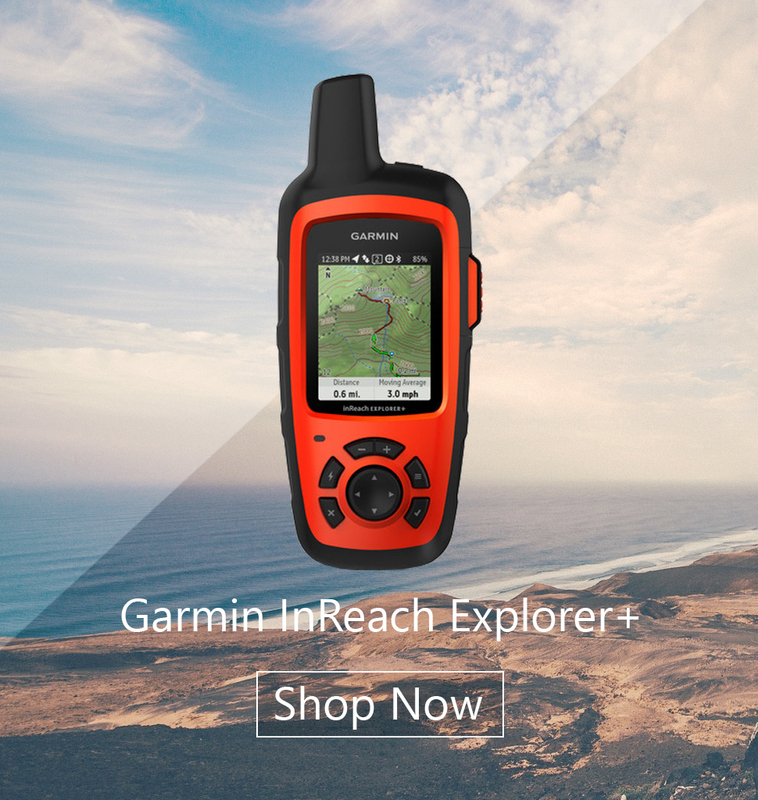 When you power up your Explorer+ for the first time, you will be asked to jump onto inreach.garmin.com to register your device. You will need to create an account and then select the Satellite subscription plan that fits you. As a side note here the InReach Explorer+ is connected to the Iridium satellite constellation which is currently (11/01/18) halfway through its program to launch 60 new satellites into space. What this means for you is faster and more prevalent satellite reception acquisition. Garmin has tried to give plenty of range on these plans, Garmin has two initial subscription plans Freedom (Pay month-to-month with an annual fee to use this privilege) or the Annual/Contract Plan (Activation fee with another monthly charge dependent on the plan tier you select). You will need to decide which program level you would like the only difference is the number of messages you send, tracking interval, the number of tracking points and location pings. Once you’ve set up the account and chosen your plans, you will need to head outside to finish activating the unit; this will take about 10 minutes with variation depending on how many satellites your device can link to. You will see a confirmation message from testinreach@garmin.com once you have fully completed activating the unit. That’s it you’re now ready to go! I would recommend pairing up your smartphone with your inReach unit as it will help conserve battery if you want to use Topo maps you will need to download the companion app ‘Earthmate’ the app will typically cost you money to purchase, but the app comes free with any inReach unit. The messaging for this unit performs well. Obviously, it’s not going to function exactly like the SMS messaging you’re used to on your phone. Don’t go overboard on messaging all your contacts unless you have selected the ‘Extreme’ plan as you will be charged when the unit sends and receives messages. You can send unlimited preset messages on any tier of the plans, but your account will be charged if you get a reply. Typical message send time in Australia is about 2-5 minutes. However, this is mostly dependent on your Satellite connection. 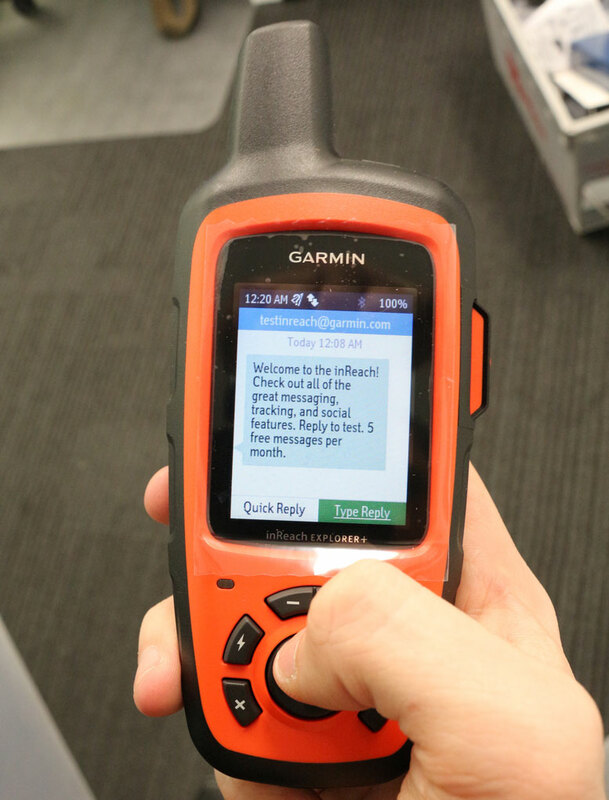 Unlike some other Satellite messengers, InReach will notify you whenever a message is sent. 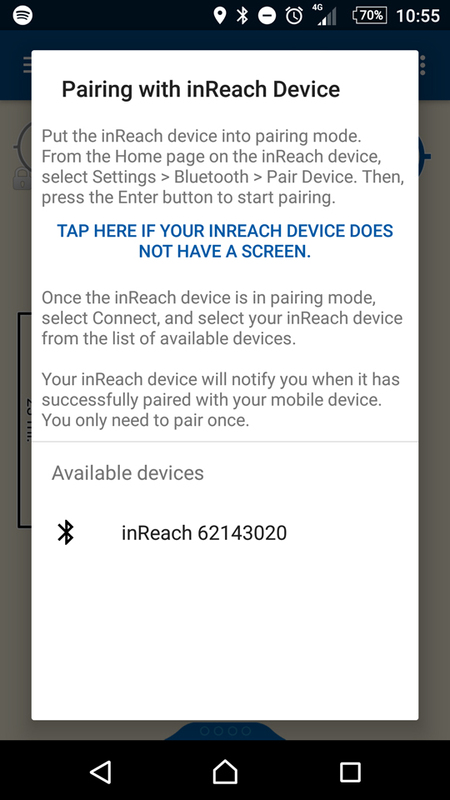 Specifically, regarding preset messages they need to be set on the InReach website don’t forget to sync your device. You will need to plug your InReach explorer into your computer via the USB cable to sync the device. 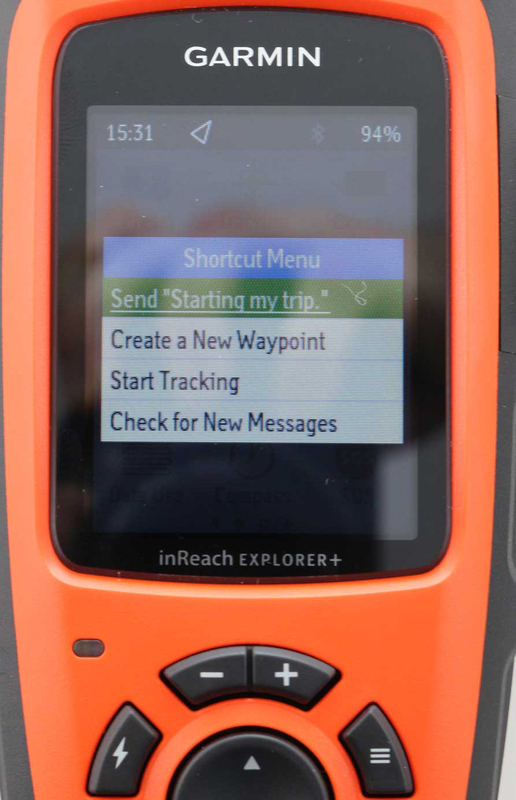 The InReach comes with 3 preset messages preloaded which you can change via your InReach account. The default messages are "Starting my trip. ", "Delayed, but everything is OK.", "Pick me up here". 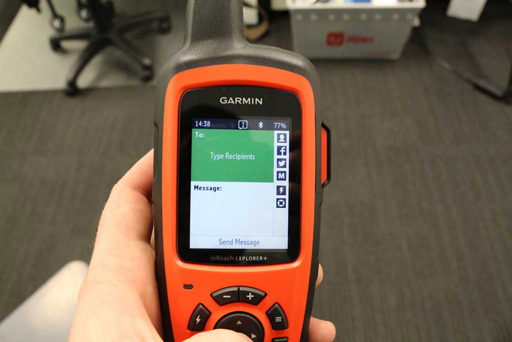 As with all plans on the InReach, you can send an unlimited amount of preset messages with no additional cost. *If someone replies to you though that will count towards your monthly allotment of messages* Exceptions are the inReach Enterprise plans and the old, retired inReach Safety Plan which does not allow unlimited preset messages. Further, a third party who has not been messaged by your InReach unit previously cannot initiate a conversation with you costing you money. I've included an image of a friend who initiated a conversation to my InReach device. I had not sent a message to him previously. 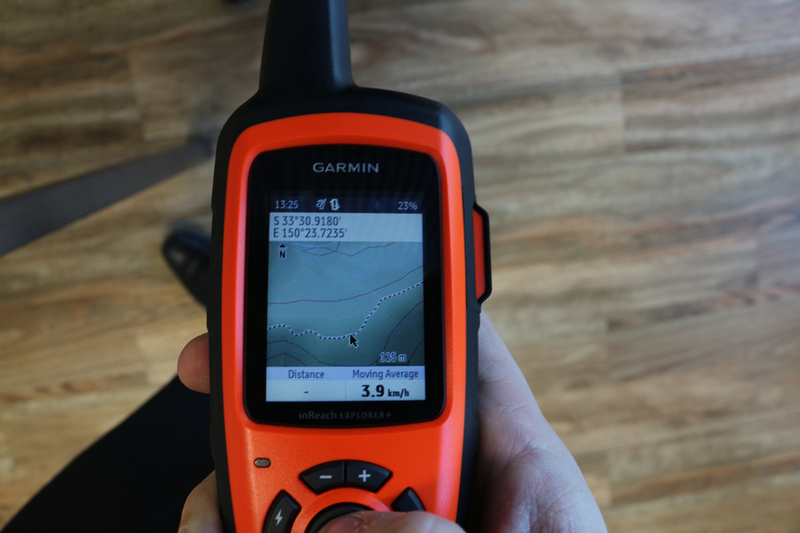 As you can see the Topo maps on the InReach are pretty standard topo maps they are most similar to Garmin's Lite Topo map with 40m contour lines. The comparison here though is with Garmin's full top maps V5 which have more detailed contour lines, as you can see on the second image at 120m scale. 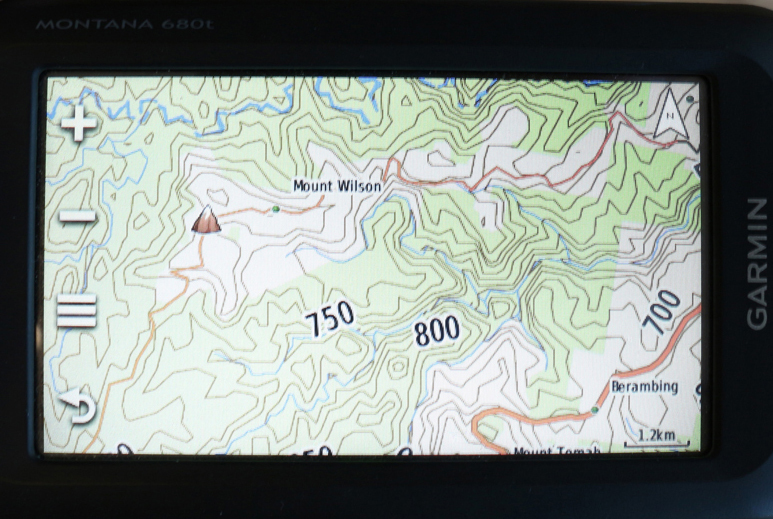 The Full Garmin Topo maps also give extra details like trail names, more nearby locations and sights, the full topo maps also offer turn-by-turn based routing. 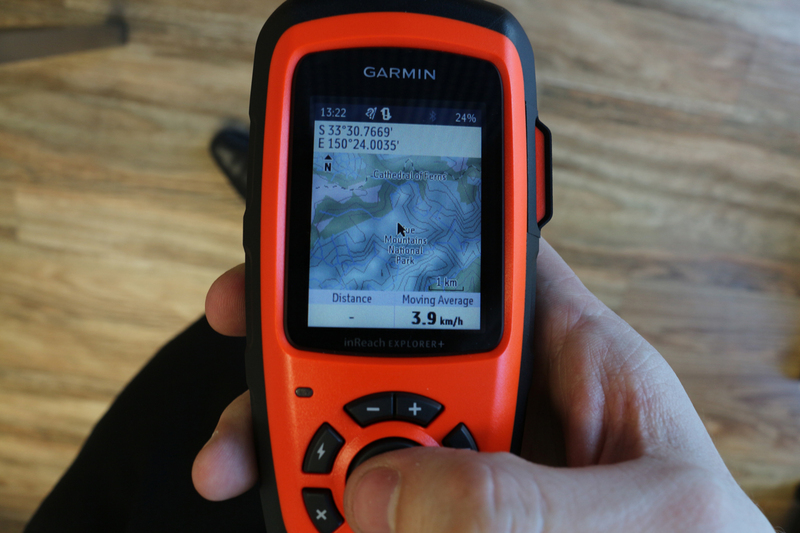 In short, the InReach maps provided are good in a pinch but for more accurate and routing capability you would still need to look at a Garmin Handheld. 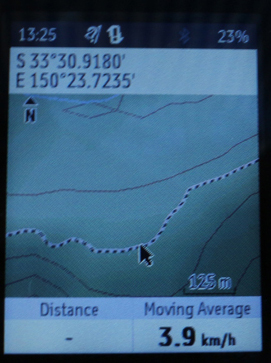 Routes are a series of waypoints. 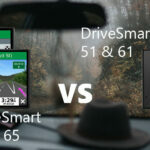 You won’t get any alerts unfortunately or turn by turn routing. You will need to monitor your route. 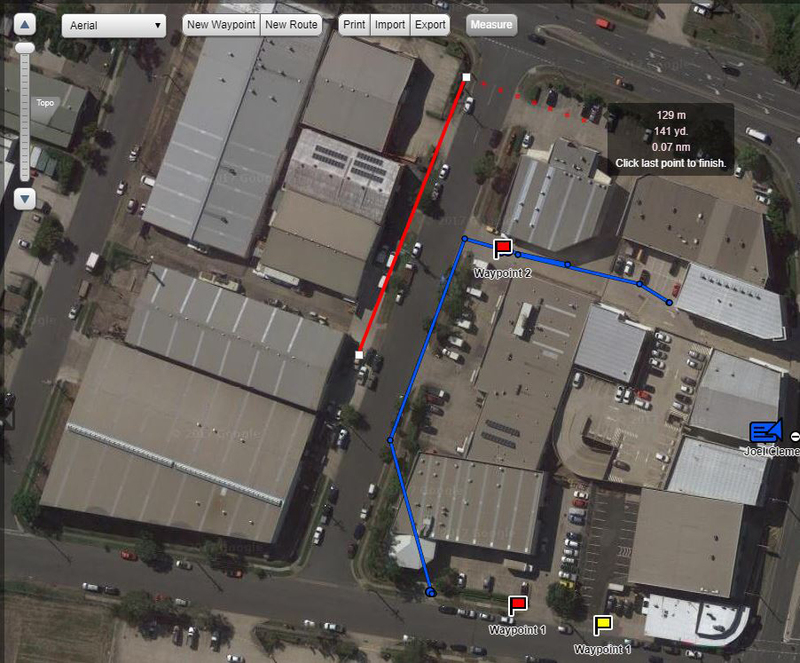 Additionally, you can only create your routes on the computer at aus.inreach.com.au. The routes will not follow roads or paths they will only go straight from point to point. 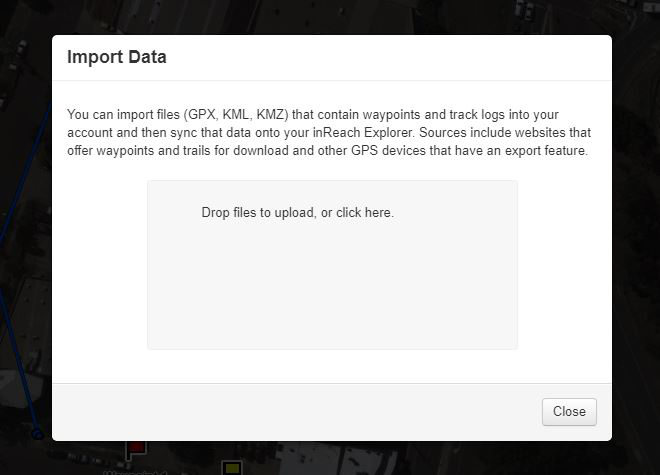 You can import or export your maps via your InReach account on the PC; I’ll go into more detail about this later. Tracking will share your position at set intervals with selected contacts. It will cost $0.15 per point if you are on the recreation plan. Using the weather option will count as a message, so there is a cost involved if you’re not on an unlimited plan. For weather readouts, you can select Basic, Premium or Marine. The trip info menu is a useful little feature that will display a range of data the primary menu is setup for trip time, max speed, time moving, moving average, trip distance and odometer. You can also display Barometric pressure on this menu which can be helpful. Shown below is more of the available options. Unfortunately, you cannot get the InReach to pair with any other Garmin sensors for stats on heart rate or elevation climbed. I’ve had the unit on for three days now, granted I’ve been using it intermittently, but it’s at about 34% so it looks like Garmin’s measurements might be pretty accurate on this one. 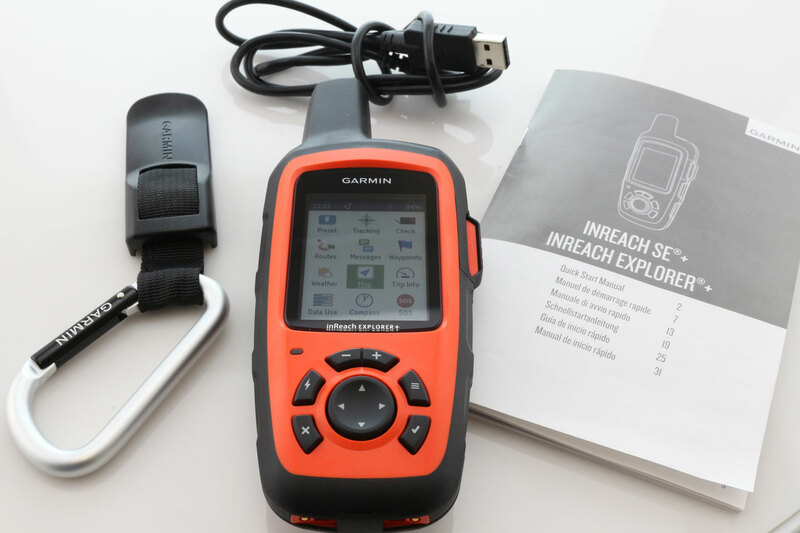 Regarding a replacement for the InReach Explorer+ battery Garmin hasn't officially announced anything yet (obviously if you have any serious problems with your unit’s battery in the first year you send your unit back to Garmin who will service the unit). 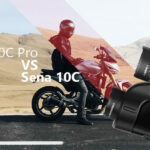 The device is rated for 500 full charges, full charges meaning it won’t count partial charges as one but will be cumulative to the total amount allocated. To make sure you’re not treating the InReach like your mother’s precious crystal vase, SOS is not that easy to trigger. Firstly the button on the side is a flap, so don’t worry about it bumping around too much. Secondly, the SOS button on the main menu screen will automatically cancel in 5 seconds unless you explicitly tell the unit it is an emergency. 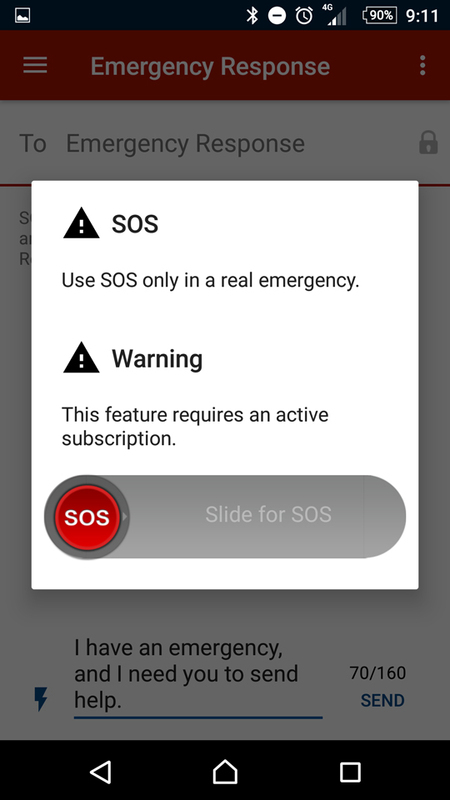 Finally, You should only use SOS in a SERIOUS emergency. Sore ankle and tummy ache won’t cut it, these guys risk their lives to rescue people and won’t appreciate you putting them in danger and anyone else that might have been a higher priority. That said if you are in grave danger it’s good to know that help won’t be far away with your InReach unit. Below I've included a video from Garmin that shows a real SOS emergency that happened in Alaska. 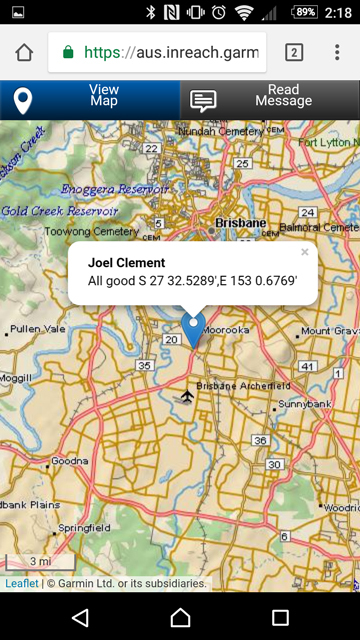 When you send the SOS signal, GEOS will get a message with your GPS coordinates. They will also receive the data you entered into your inReach profile. You can also message the GEOS team what your current condition is and any extra information if you can. The Earthmate mobile app serves as a backup to using the InReach device itself. Most of the functionality on the InReach device is available on the Earthmate mobile app once it’s linked to your unit. To pair the device, you just need to go into setting on your InReach device, select Bluetooth then select pair device. 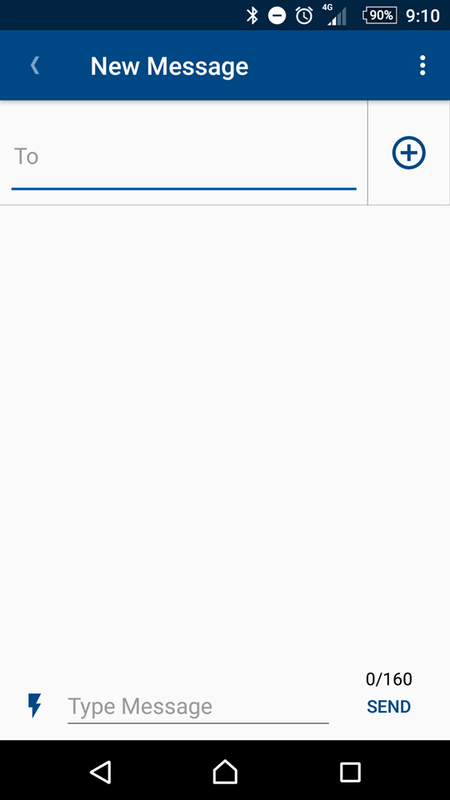 On your mobile, you will need to select the three dots on the top right of the screen and click pair, then connect which will then bring up a list of available devices, select your device. Done, that’s it. 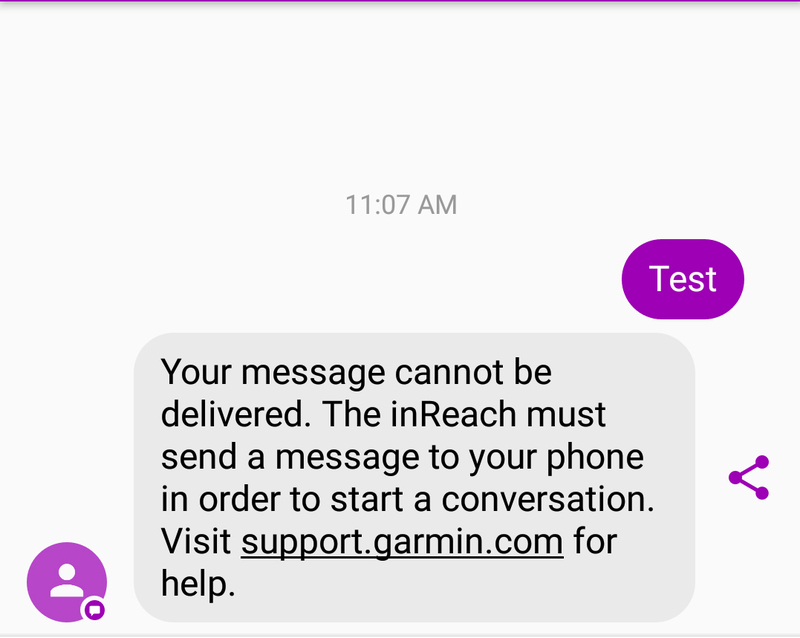 I’ll note here as I was hoping Garmin would include it, but there seems to be no alert if the InReach device loses connection with your phone. You do need to be a fair distance from the InReach unit before this became an issue. I got about 40 meters in an open area before it lost connection. In a heavily wooded I would expect less than half that. *Keep in mind connecting to a new InReach device will wipe all your old waypoints and routes from your Earthmate application. 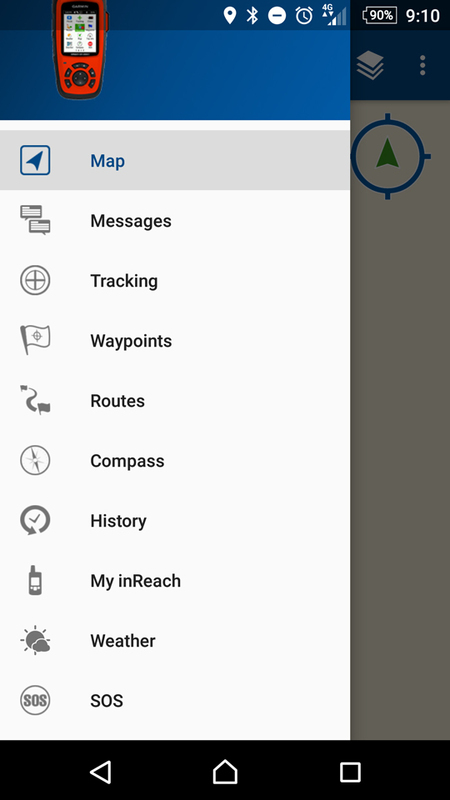 It’s a lot easier to send messages via the mobile app rather than the InReach device, you can also conserve your InReach battery by using your mobile to monitor the maps and set your routes and waypoints. 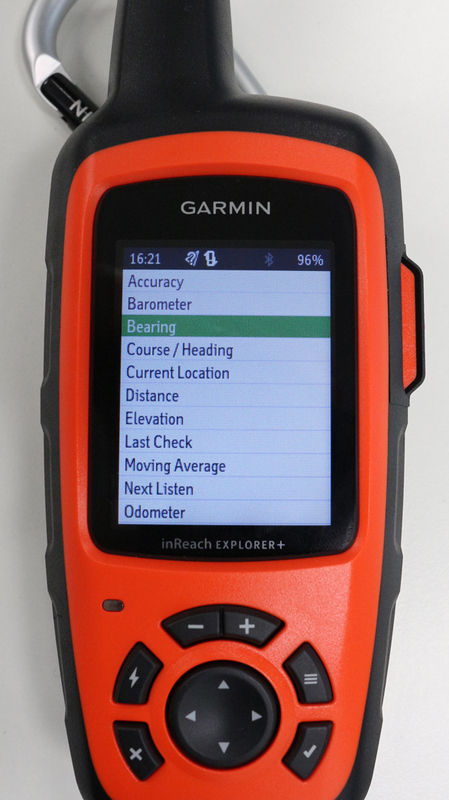 You can also use the compass to track your speed, course and elevation. The mobile app will also give you an alert on the battery life of the InReach device when it gets low. 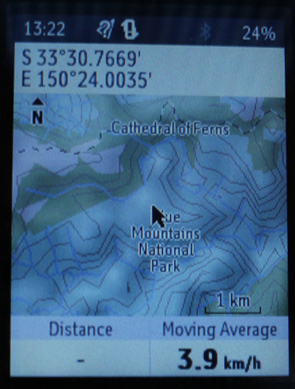 *You will need to download the Topo maps to your mobile via a WiFi connection the maps on your InReach unit will not transfer over to your mobile via Bluetooth. 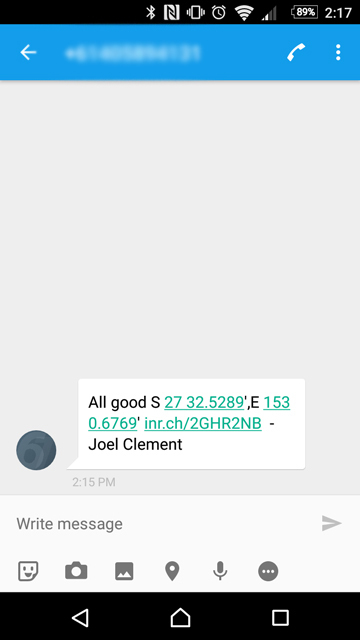 We also sent a message from the Earthmate mobile app to a contact, we had strong satellite coverage and the message was sent and received in about 2 minutes. 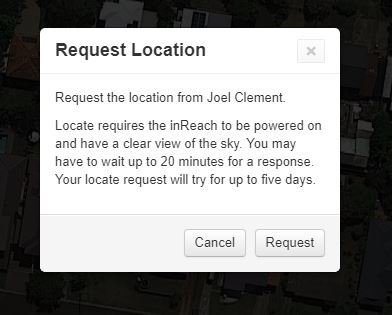 You add your location to the message which will allow the person to check your exact location. 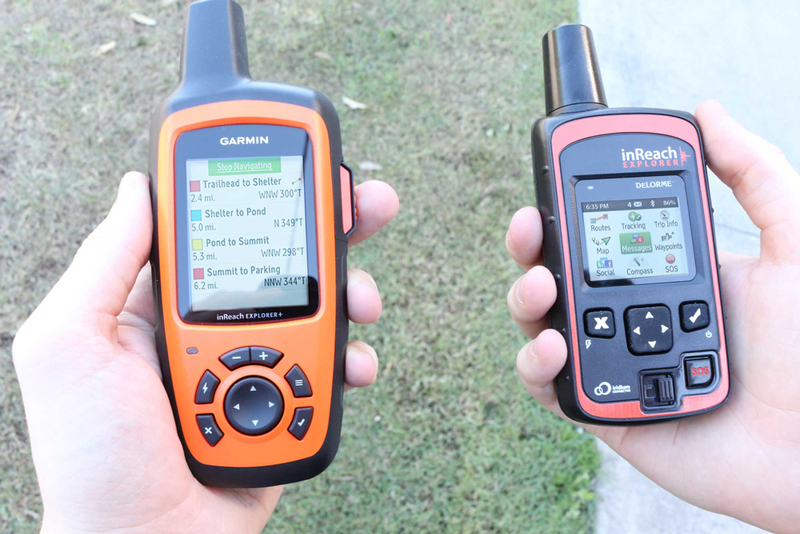 You can access the InReach software via your account on aus.inreach.garmin.com. 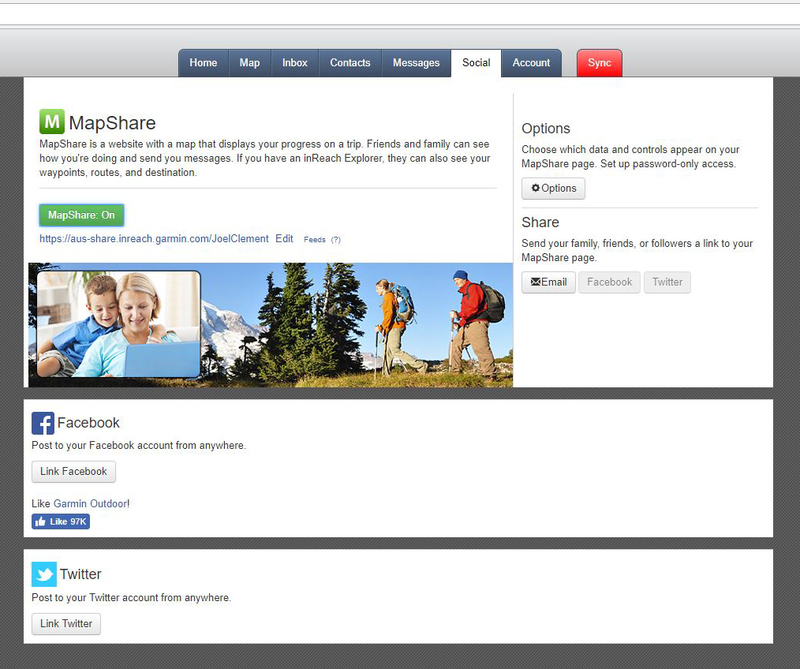 The first tab will bring you to the home menu where you can change your account settings, subscription, etc. The second tab is the Map tab this where you can create new routes, place waypoints, import other routes, export your routes and plenty of other features. I’ll start with the import and export features as these are what I get asked most about. 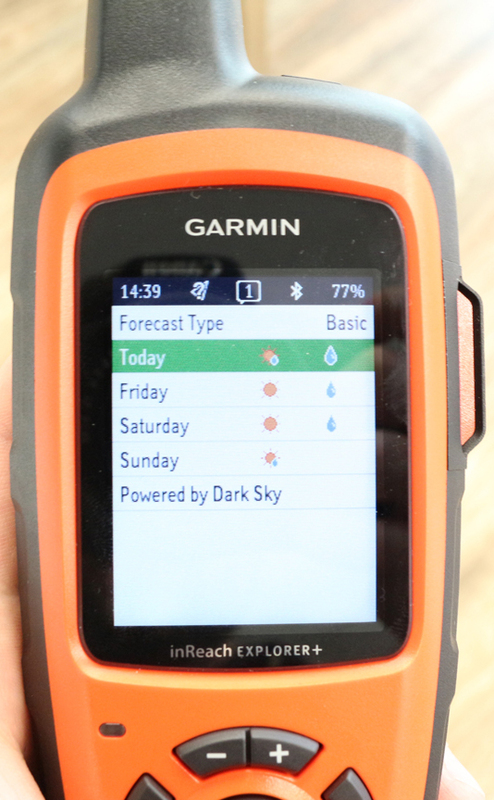 A lot of people were unhappy that Garmin didn’t use Basecamp however despite being a different software solution you can still move between Basecamp and the InReach website. Selecting the import option will open a drop box where you can drag and drop files you want to import. The files need to be GPX, KML or KMZ files that contain the waypoints and track logs. Dragging your files into this box will import them into your InReach account you will then need to plug your InReach device into the computer to sync the file up. The export option works by exporting the current map filter settings and users that are selected as ‘visible’. You can adjust the filter settings to so that the map will on display the waypoints or routes you want to export. You can edit the names of the waypoints as well to make it easier to filter by clicking the waypoint icon and clicking the pencil icon to change the waypoint details. The other map features are part of the top menu on the map itself; the new waypoint feature will let you place a waypoint anywhere on the map. This waypoint can be tracked via your InReach device. 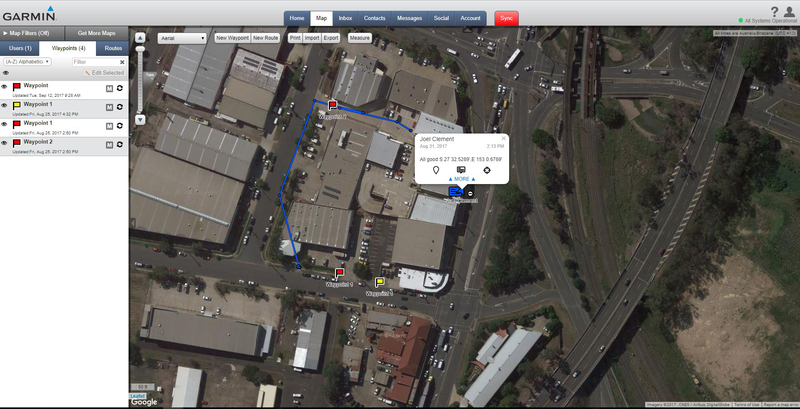 The New route feature will let you draw a route via point-to-point clicks. You can measure distances on the map via the ‘measure’ feature on the top menu. 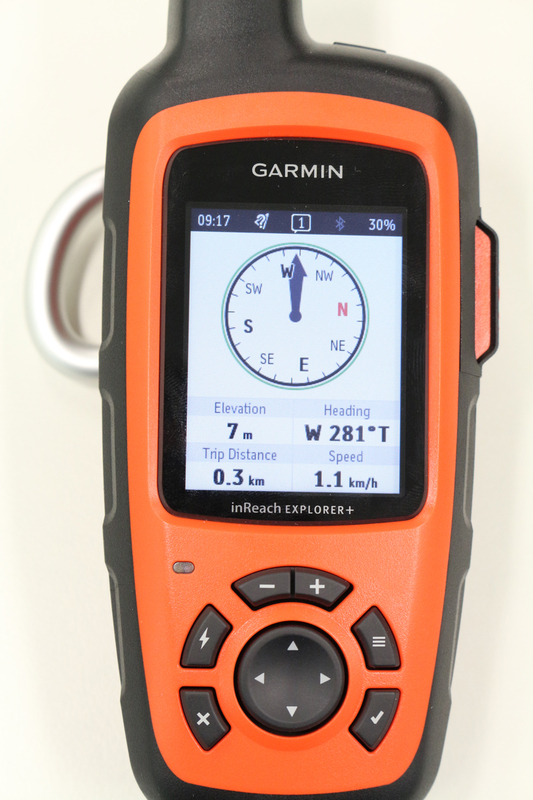 Another feature available on the InReach website is the 'Request Location' feature which will request the current location of your InReach Device. 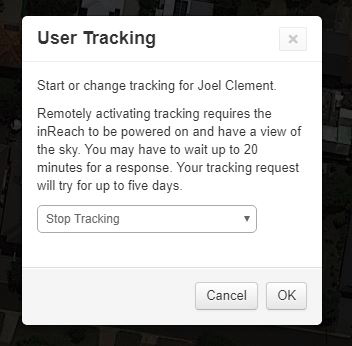 If you want to track users progress you can also request tracking, this works the same way tracking works on the InReach device itself but will send it back to the map in 'real time' Garmin state there could be a 20 minutes delay for the response request to go through. 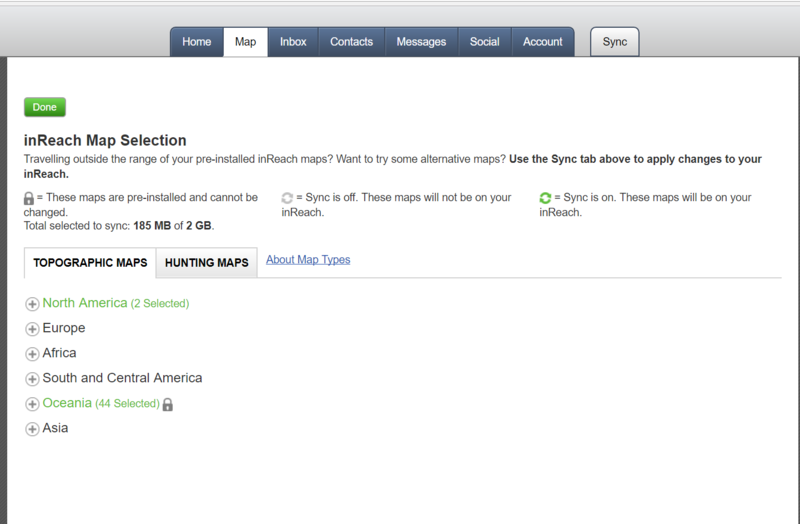 When you’ve completed everything on the map, you can click the big red tab on the upper part of the map that says sync; this will bring up a menu option to select which of your devices you want to update. You update the InReach device, but you can also update your Earthmate app. 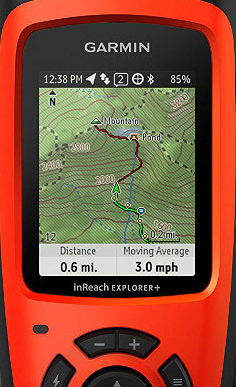 aus-share.inreach.garmin.com/YOUR ACCOUNT NAME - You can get this link by clicking the social tab on the main page of your InReach account. I've updated the blog to show this as I've received some particular questions about it. 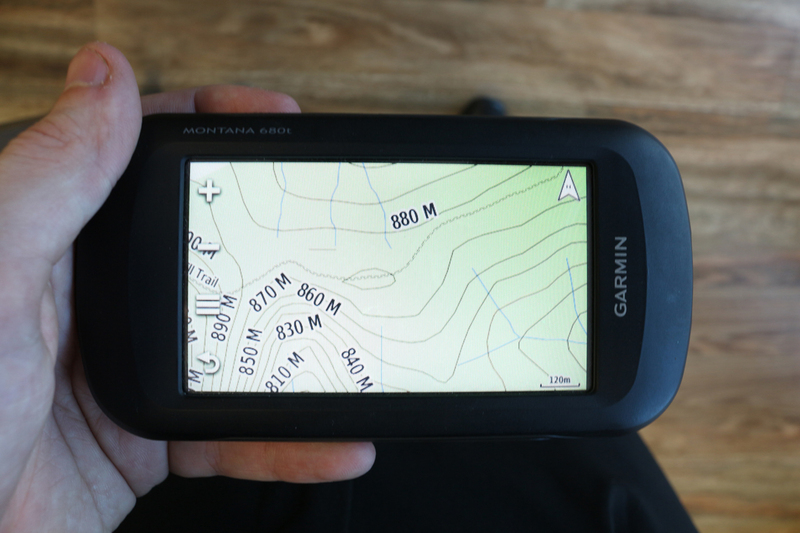 You can add additional maps to your InReach Explorer+ the maps won't be Garmin maps they use Open Street maps, Digital Atlas and DeLorme Topo maps. You have a 2GB limit on the unit, and you can't uninstall your original countries maps to make more space. You can add more maps to your InReach by logging into your Inreach account > clicking the map tab > clicking 'Get more maps'. 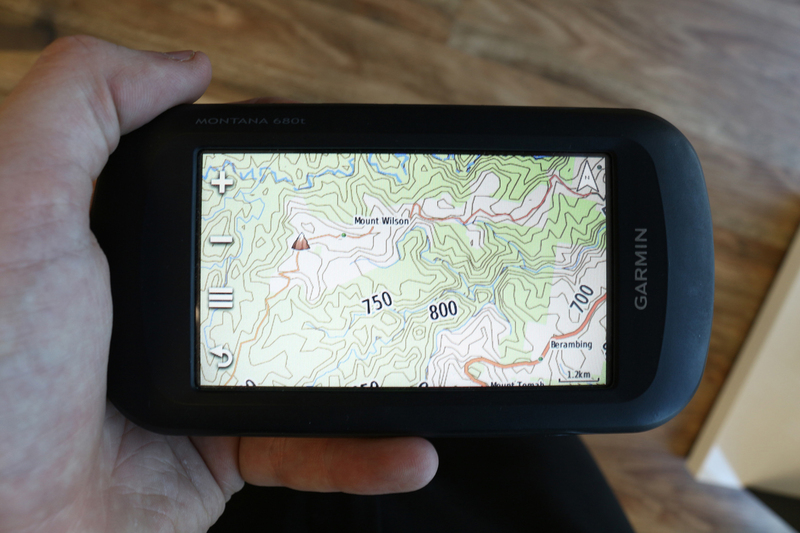 Once there you just need select and download the maps you want and then sync your InReach unit. Can I add multiple InReach Devices to the same account? Yes, you can add multiple InReach devices to the one account, each device though will require an assigned user and an active subscription. To add a new device go to your account page on the InReach website. From the home page of your InReach account select "Account" then select "View Devices" on the top right, finally select add device (you will need your device to be turned on as it will show a verification code when activating). If your device stops responding you may need to reset the device. 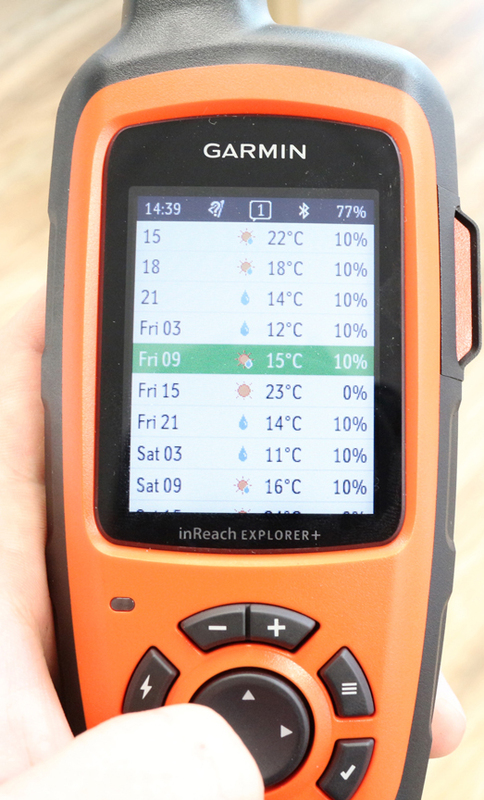 You can reset the InReach Explorer+ by holding X and the power button until the device turns off. You can turn the unit back on by pressing the power button again. To Restore device settings to factory select settings > recovery options > restore factory settings.